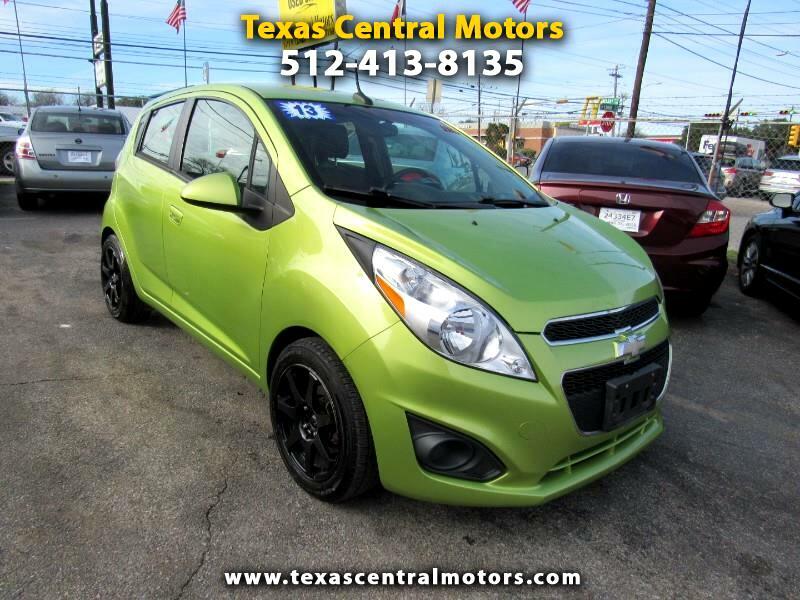 2013 Chevy Spark LT model is ready to go. Very affordable for a late model car with low miles! Runs and drives great! 4 door hatchback, automatic transmission, 1.2 liter 4 cylinder engine great on gas an din perfect shape. Interior great, body in good shape. NO ACCIDENTS, 1 OWNER, CLEAN CARFAX, CLEAN TITLE. Complete with alloy wheels, am/fm stereo, cd player, aux audio, BLUETOOTH, ice cold A/C, climate control, power locks, windows, mirrors, tilt wheel steering, floor mats, alarm, ABS, traction control and cruise control. Please stop by for a test drive today! We are open 9am-630pm Monday-Friday and 10am-630pm Saturday. Contact Mike at 512-413-8135 for more info. Visit our website at texascentralmotors.com to view free carfax reports and to check our entire inventory. Message: Thought you might be interested in this 2013 Chevrolet Spark.